Corporal punishment – spanking – has long been a debate in the parenting world. On one side, you have those that believe “Spare the rod, spoil the child” On the other side, you have those who believe that good parenting should never involve corporal punishment. Who’s right? I won’t go into that, but the Canadian Medical Association sure did when they wrote a strongly worded editorial in the Canadian Medical Association Journal. The statute they are talking about, Section 43 of the Criminal Code, gives parents and teachers legal defense when they physically discipline children. In 1984, the Law Reform Commission of Canada recommended the repeal of section 43 for teachers, but requested that it remain for parents, “primarily out of concern that the criminal law would otherwise unduly encroach on family life for every trivial slap or spanking.” That request was granted. Now, John Fletcher, editor-in-chief of the journal, says that it’s time to remove the provision. He says that this provision tells parents that physical punishment is an acceptable method of discipline. “Although it is not necessary to make spanking a crime to encourage alternative approaches to parenting, Section 43 of the Criminal Code of Canada sends the wrong message, stating, ‘-a parent is justified in using force by way of correction – if the force does not exceed what is reasonable under the circumstances,’” Fletcher said in his signed editorial. Fletcher also pointed out that police already have discretion regarding when an assault on a child is trivial. He argues, however, that “any bias” should be aimed at children because they are particularly vulnerable. So how do parents feel about removing the provision? According to information from a Library of Parliament, a 2003 poll showed that 69 percent of Canadians favored repealing the provision for teachers, but only 51 percent said it should be removed for parents as well. Unfortunately, research data says otherwise. Previous studies have linked physical punishment to aggression in children, delinquency and emotional, developmental and behavioral impairment. 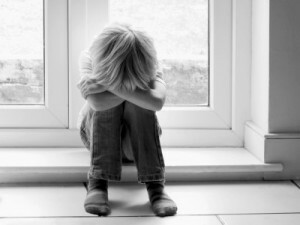 A more recent study also linked mental health issues in children to corporal punishment. So should the provision be removed? The final word goes to the Supreme Court of Canada. Until it reaches them, the recent editorial is certain to stir up some controversy in the parenting world. A is For Apple ~ 10 Kid Themed Items! I think there is a huge difference between spanking and assault. I also think this matter is one of opinion. The pro-spankers are going to think that not spanking and time-outs are an ineffective parenting method. I know what I believe based on observing family members and their children, and Im glad that in country I live in I am free to make my own parenting decisions.